We all know that mission critical communications are vital 24 hours a day and as this article shows that even a tiny lapse in communications can lead to chaos. Even the U.S government canât keep their radio communications up-to-date on one of the most watched borders in the world, as we can see from the article below. Put yourself in the shoes of a U.S. Border Patrol Agent. You are patrolling the U.S.-Mexico border, driving through desolate terrain, and in the distance, you spot movement. You head toward a deep ravine and step out of your vehicle when a shot rings out and you hear the zip of a bullet speeding past your head. With training and instinct, you dive for cover and draw your weapon, reaching for your handheld radio. And the radio doesnât work. Thereâs no one to call, because you are in one of the many areas of the southern U.S. border that has no radio coverage. Out there in the ravine is a drug cartel ârip crew,â heavily armed and firing on your position, bullets punching into your vehicle until smoke is rising from the hood. If they come closer, you are outnumbered. If they flee, your vehicle is disabled, and they will disappear into the vast emptiness along the southern border, where they will likely fire on one of your fellow agents, should they encounter them. That is the state of communications along many of the areas on the U.S.-Mexico border. When the U.S. Border Patrol needs it the most, they cannot communicate with anyone. With rising threats and political propositions, U.S. border security has again risen to the top of the public consciousness. There are calls for more border patrol officers and stronger fencing, for aerial and ground based vehicles and other technology. But the lifeblood of the border security apparatus is communication, and in some areas, communication is not possible. One reason 343 New York City firefighters died when the World Trade Center buildings collapsed was that their radios could not communicate with the emergency responders outside the buildings, who were warning the structures were about to come down. The recommendations of the 9/11 Commission cited the need to create interoperable tools that allow first responders and law enforcement to communicate in the most unforgiving of environments. And there are few environments less forgiving than the nearly 2000-miles of the U.S.-Mexico border. Recognizing this, the Department of Homeland Security (DHS) launched a massive project to improve the communications capacity of officers along the U.S. border. It failed. In March last year, the U.S. Government Accountability Office (GAO) reported that $945 million in taxpayer funding used to build radio towers and upgrade radio equipment has yielded little benefit and in some cases does not work as well as what Border Patrol agents were using before. The effort cost too much and was taking too long. Colburn said that the state of communications today means U.S. Border Patrol cannot call for support in some areas. They cannot feed information from the field into the intelligence food chain, and they cannot receive images from manned or unmanned vehicles to know whether they are walking into an ambush or encountering a group of friendly forces. Likewise, Border Patrol agents cannot communicate easily with other law enforcement agencies (like a local Sheriffâs office), nor can those law enforcement agencies run on-site biometric checks (e.g., fingerprints) of individuals they suspect may have recently crossed into the United States illegally. Most Americans own a smartphone, which is a powerful piece of technology. Experts say itâs hard to understand how, in this age of technological innovation and advancement, the United States is not arming its frontline officers with the very basic capacity to talk to one another. Part of the challenge is that we have not brought new solutions to this long-standing problem. To advance the effort, the Border Commerce and Security Council (of which I am Chairman and CEO) helped bring multiple stakeholders to the table in December last year in Cochise County, Arizona, to see if an innovative application of several integrated technologies could solve these communications challenges. It was a Proof of Concept test that included the U.S. Border Patrol, the Cochise County Sheriffâs Office and a group of businesses with tools that can address a range of communications and intelligence challenges. What was tested is called the Field Information Support Tool (FIST). The research question was, how can we use modern technology to allow officers in the field to talk to one another and to their superiors while also collecting and then acting on real-time intelligence? This is what the FIST system achieves, and itâs what was seen during the proof of concept test. In general terms, FIST uses off-the-shelf communications tools (like an Android device) to gather intelligence from officers on the front lines. With these tools, officers feed information into a larger database compiled from a variety of sources (including other officers) that informs strategic and tactical decision making. This is then passed back to the people working along the border. The need for this kind of tool is obvious, but it has only been recently that the right technologies and software were put together in a way that makes it possible. Over the last year, there has been a push to transition FIST into the marketplace. Research transition is tough, as DHS has found in many cases over the years. Unlike other agencies and components, such as the military branches, the homeland security and law enforcement marketplace is heavily fragmented and with limited resources. It makes it difficult to take good, workable ideas from prototype to production. As big of a challenge as creating an innovative piece of technology is finding a way to produce it in line with operational and funding realities. A local Sheriffâs office, for example, does not have an endless amount of funding and time to bring in expensive technologies and then train deputies to use them. For that matter, neither does the U.S. Border Patrol. Whatâs needed is a simpler, cheaper solution, and based on the proof of concept testing, FIST appears to be that solution. There are a few moving parts here. 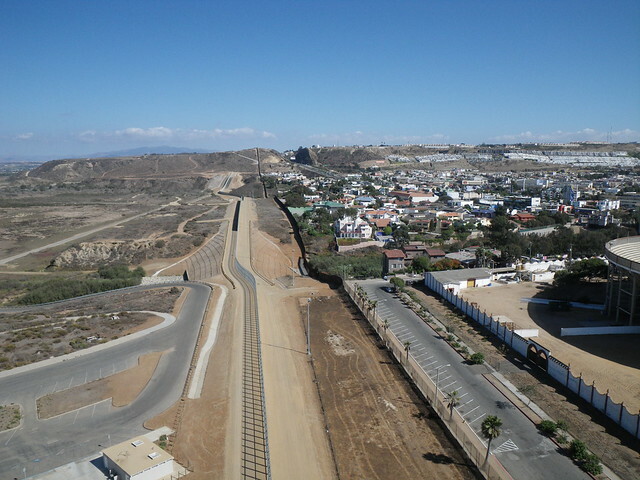 There are applications that allow off-the-shelf technologies to record and report intelligence, such as the location of a breach in the border fence or evidence of people moving through the rugged terrain. There are existing law enforcement and Border Patrol network capabilities (or cloud-based tools) that store that information. The secret sauce, however, is the complex digital architecture that allows real-time control and fusion of multiple information sources in a way that supports the mission. This is the one thing that has been missing from the border communications and intelligence efforts, and itâs why DHS has struggled to address the challenges to this point. The innovation is in the complexity, and FIST makes it simple. Of course, that complex innovation is for naught if the agents in the field cannot transmit and receive intelligence. Enter SiRRAN Communications, another stakeholder at the proof of concept test in Arizona. Briggs describes this technology as a portable, battery powered cell networkâa network in a box. It creates a local, closed network that any agent within range can access to communicate and record intelligence. The unit provides local communication in areas where there is no coverage, and if there is no way to access the communications grid, it captures intelligence and transmits it to the larger repository as soon as it finds a signal. The lesson here is not just that FIST is a workable system to satisfy the mission needs of Americaâs border security and law enforcement professionals. Itâs also that the answer to the communications challenges along the border will not come in the form of $1 billion worth of cell towers built under DHS management. If it were, we would have solved this problem by now. The fact that we have not reveals that the ultimate solution is necessarily complex and multifaceted while also being easy to use and in-line with realistic operating budgets. Perhaps the most important lesson, however, is that there are real tools that our Border Patrol and law enforcement officers could be using. Right now there are thousands of men and women on the border, and until we give them the tools they need to do their job, it will make border security and the safety of our frontline heroes difficult to sustain. Unidentified Space Debris, Nicknamed WTF Is On Collision Course For Earth! Do Bluetooth Earpieces Cause Cancer?